So where did it come from, and where did it go? The shape number of the 9BC tells us that it’s a classic “9”—a Charles Peterson Patent shape that’s been in the catalog since 1896. In the 1906 catalog it was first identified as a 9, which by the late 1940s would become a “307” in the Standard System numbering or 9S in the DeLuxe. It remains a standard in the Peterson catalog and is routinely found in the Classic Lines as the XL90s as well as in its original System versions as the 9s and 307. 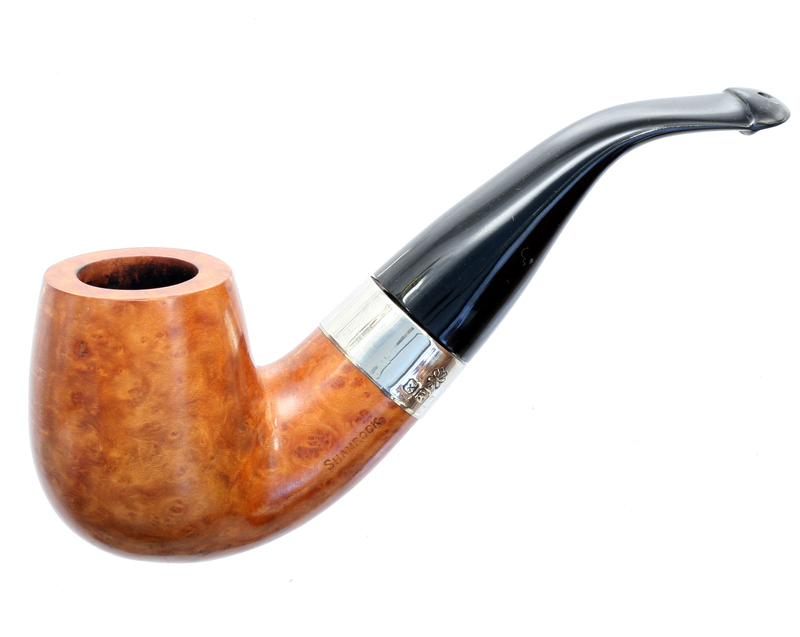 This is a big pipe, at least in the traditional sense of the word, with a chamber geometry hovering at 20mm x 42 and a weight of around 65-68 grams. The shape was the largest of the regular System offerings until the B42 / Darwin slightly eclipsed it a few years back. The “BC” in the shape number designates something special—it refers to the stem style and length, respectively. 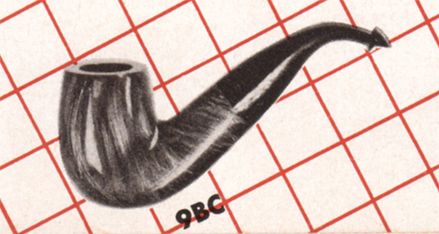 No other instance in the Peterson catalog is known of a pipe stamped “BC,” although both the 1896 and 1906 catalogs make it plain that a customer could custom-order any Peterson pipe with a BC stem. The “B” tells us the 9BC has a got a tapered, rather than saddle, stem style. 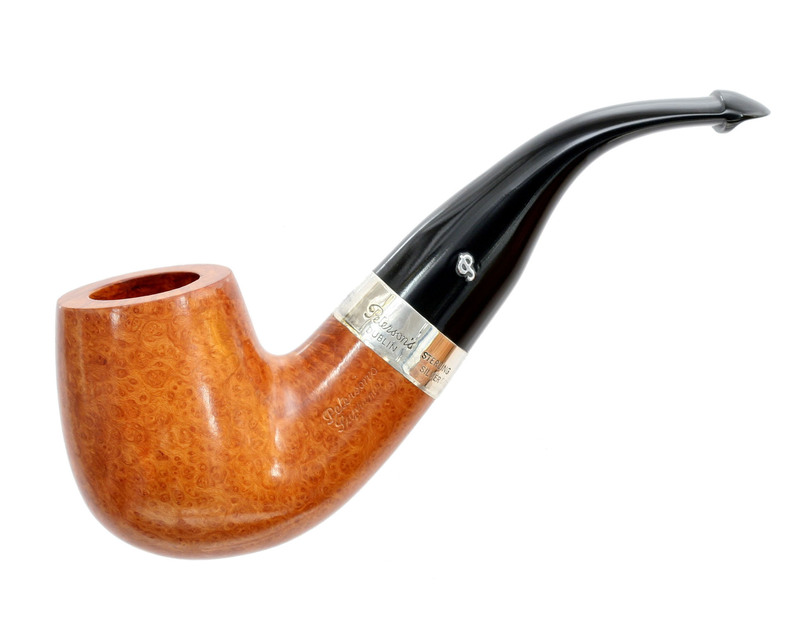 The “C” means it’s got a shortened stem, which gives the 9BC pipe its distinctive chubby character. We owe the existence of this shape, apparently, to the enthusiasm of Harry L. Rogers, Peterson’s incredible importer here in the United States from the late 1930s through the 1960s, as it appears nowhere other than in the Rogers ephemera. The first appearance of the shape I’ve been able to track down is in the 1953 Rogers Imports catalog’s shape chart. It reappears in their “Chat With the Smoker” pipe-box brochure, also issued sometime in the 1950s, as well as their 1957 catalog. 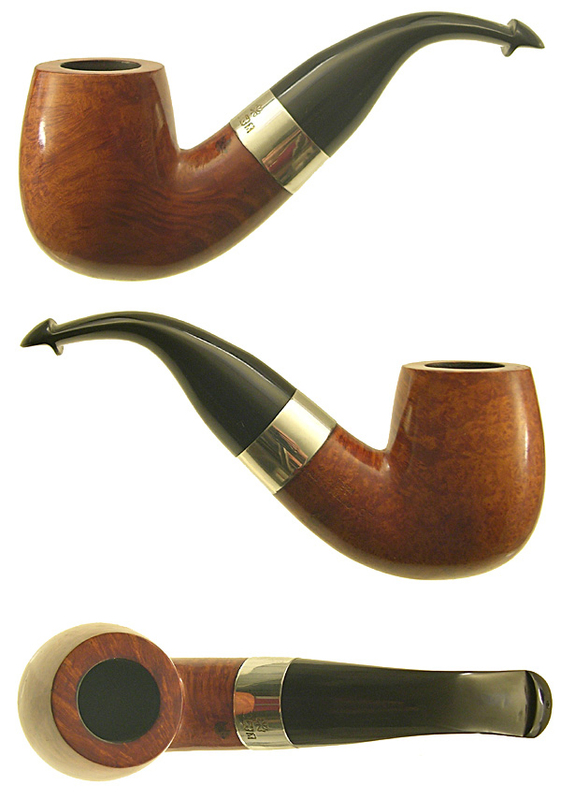 In all three cases, it is shown as an unmounted pipe, although the only 9BCs one is likely to run across these days are in its Shamrock dress and, sometimes, in the Sterling line. The Shamrock was the least expensive of the Rogers Imports “individually boxed” lines during the 1950s and retailed at $3.50, while Peterson’s top of the line, the unmounted Supreme, cost $15. I’m quite willing to be proven wrong on this, but if you look at enough Shamrocks, you’ll begin noticing there’s two stain colors, and the earliest catalog descriptions and illustrations are always of the darker stain. The lighter-finished 9BC’s stem illustrates one problem in sourcing one of these beauties: whoever restored this pipe thinned down the button, and in the process the pipe lost a bit of its chubby charm. The current production XL90[B]—the pipe with the tapered stem, not what would traditionally have been stamped the XL90s for “saddle” but is not currently so stamped—is for all intents and purposes the same shape as the old 9BC, as a comparison of their measurements reveals. It doesn’t have quite the delirious curve at the button, but is in other respects nearly identical. For those wanting the original 9BC, Ebay has them on offer almost monthly. Right now there’s a 9BC Sterling whose only problem is a sawed-off P-Lip stem and the need for a bit of reconditioning. The former, of course, can be taken care of by dropping it in the mail to Peterson. For the latter, if you’ve never restored a pipe, you can find all the help you need at Steve Laug’s www.rebornpipes.com blog. Another one from Mark Irwin on the Peterson Chubbies. This is Part 2 of his pieces on the Chubbies. Thanks Mark. Wowzers, great article! Yes I have both stains and was wondering if the lighter one had been a re-stain. Still chomping at the bit for THE book! What is the shape number for the straight chubby?!? I didn’t know they existed. That would be telling. Hope to have it for you next weekend. The manuscript is now with the publisher before it bounces back to us, so I’m turning to some last-minute photography and hope to have time to do something fun here on the blog for a few weeks. That’s a beautiful piece! It is a 9BC (there was no 9B0)–and Premiers are difficult to come by, sometimes I think they are more rare than the DeLuxe pieces, simply because it was such a fine line between them. The Premier line was first seen in the 1945 catalog, and the MADE IN over IRELAND makes me want to believe it was made between 1945 and 1949, although my co-author would quibble with that, as that COM didn’t simply disappear from use after ’49. Still, we believe what we choose to believe, don’t we? In fantastic shape–I know you will enjoy it, and if you restore it, please post to Reborn Pipes so i can repost here. I sure will. The seller bought it in 2000 at the original Tinder Box, from the founder of that chain. He confirms it is a 9BC. I was thinking ’47-’49 from the pipepedia info, but as you said, it’s not an exact science (without hallmarks). Glad you snagged it, Al. Looks like an easy resto on a classic pipe! Rememner, pics or it didn’t happen! Unfortunately, it will probably be delivered the day we leave for vacation, but I’ll get it on my return. Good things come to those who wait (like the forthcoming Peterson book). Welcome to the chubby club! Mark, do you know when the 9BC shape was dropped and XL90 began? Hi Al! The last appearance of the 9BC in my literature is in the 1950s-era Rogers Import “Chat With A Smoker.” It is a U.S.-only, Rogers-Import pipe and doesn’t appear in any of K&P’s own catalogs. It would have been in the 1947 Shape Chart had it been a standard international production shape in the post-war years. The first appearance of the XL90 is in a “long-stem” :version in the shape chart from Associated Imports in 1973. The versions you and I love have the shorter stem, which is almost identical to the BC. …and I should add that Rogers folded in 1969 and Asssociated Imports, a Peterson-owned subsidiary, took up the distribution that year. So: the end of the 9BC is circa 1969; the beginning of the XL90 soon thereafter, 1969-1973. Right–the Kapruf should be smaller and lighter, as the blast pipes were “reclaimed” smooth bowls. Chamber should be same as smooth. Good looking pipe! Ah, that makes sense and I wasn’t aware of that process. Hey, are they making my favorite XL90 & System 307 smaller than they used to? Some I’ve bought this year are noticeably smaller than older ones! Hi Rob, not that I’m aware of. Shape 9 (the 307 / XL90) hasn’t changed since it was introduced in 1896. There are some variations due to sandblasting, rustication, sanding during finishing. Sometimes a chamber will be a little smaller or larger, again usually due to being sanded out because of a pit. The new Arklow line has “topped” several of bowls used, but usually just 2 mm or so. Which lines are you looking at? Yes, the three recent ones I have are all sandblasts. The 2017 Summertime and Dublin sandblast are both noticeably narrower than an older Aran or System. The narrowest by far is my new sandblast System 307, which also has a much shorter acrylic stem than my older vulcanite models. The older vulcanite stem won’t even fit into the ferrule of the new 307. I’m generally only adding new Pete’s with acrylic stems. I haven’t found a good way to keep all my vulcanite stems black, and I do have alot of them! I’ve got a little grinder I’ve added 4 inch pads too, but I just don’t have the hang of it. Hi Rob, the blasts will be a bit smaller than the smooths. The mouthpiece size will dictate the drilling on the stummel, so no, they won’t be interchangeable. 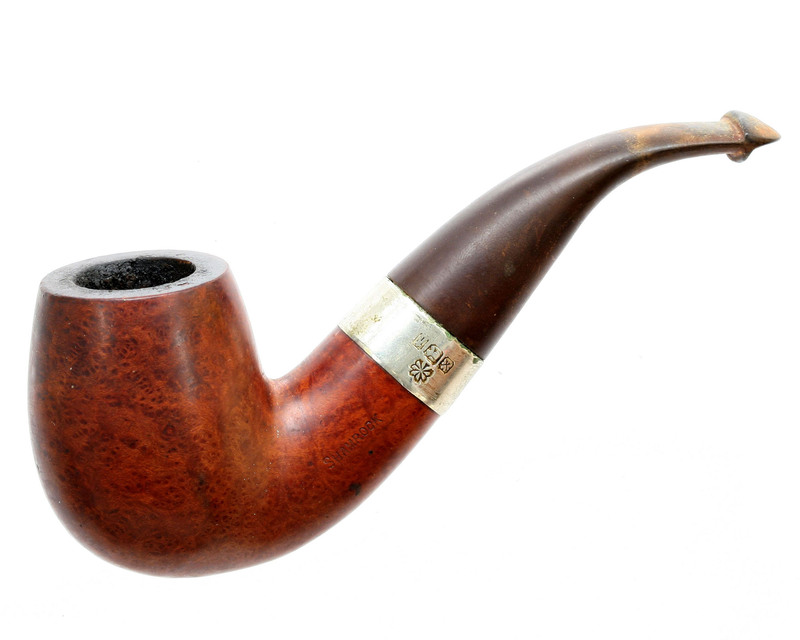 For help on restoration of vulcanite stems, see Steve Laug’s rebornpipes blog. It just takes a few steps, some micromesh pads and patience. A nice evening’s work to bring a vulcanite stem back to ebony. Didn’t System stems used to be interchangeable? I remember seeing replacement system stems for sale, sold by size. Thanks for all the info!